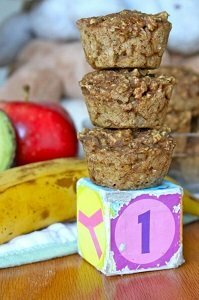 Muffins are probably the easiest way to start introducing solids to your little one, while incorporating most if not all food groups in one go. 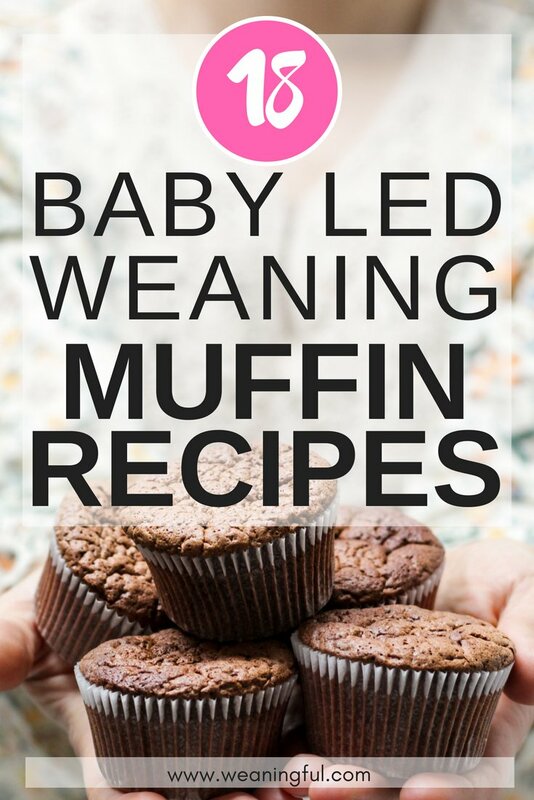 Muffins are also great for babies with no teeth, since they are soft, easy to munch at and usually big enough for them to grab in the beginning, making them the ideal food for baby led weaning. You can also incorporate all kinds of ingredients, make them sweet or savoury, and can satisfy even the pickiest of eaters. They’re great for lunchboxes, picnics and going out with your baby. 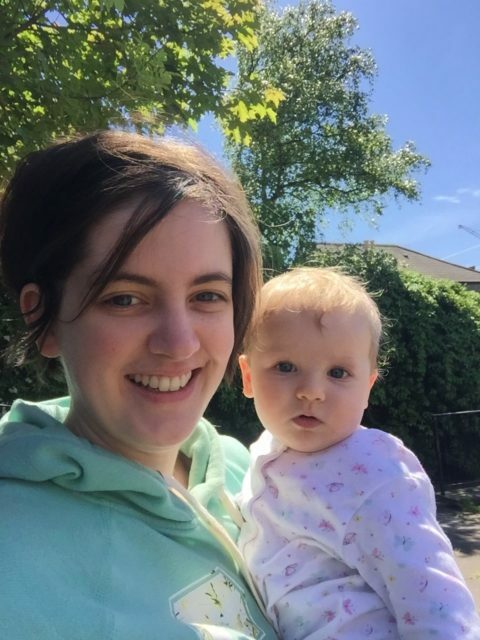 I find them rather quick to make and easily adopted by babies, especially as I noticed they rather have a preference for anything resembling bread. In fact, I suspect my toddler would happily live of bread and yogurt her whole infancy if she could *sigh*. 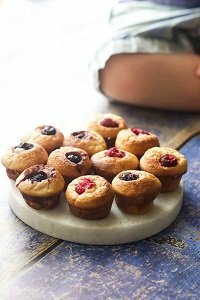 Given the fact that I only have one recipe on my blog (I will do my best to post more), I decided to make a round-up post of baby muffins, similar to the one on breakfast recipes that seems to be doing quite well. Feel free to click on the links or on the images if there’s anything that you fancy trying out. Let me know how it goes. If you are curious to find out more about first foods and which are the top foods babies never say no to, join me in cooking them in 15 minutes or less, using accessible ingredients, while learning how to vary basic recipes easily. Grab my FREE ebook today! Note: all image credit goes to the original authors (except for recipe 1, which is posted on this blog). This post contains affiliate links, meaning I get a small commission if you purchase anything through those links, at no extra cost to you. Thank you! 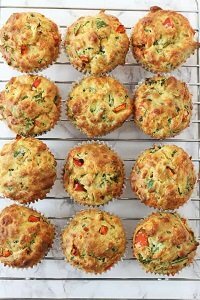 This baby muffins recipe is from Gill Rapley’s Baby led weaning Cookbook, which you can find here. 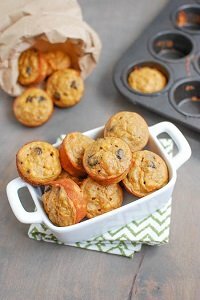 These carrot muffins have nothing sweet in them, making them ideal for any meal of the day, or even as a snack. If your little one doesn’t fancy carrots, it’s a great way to incorporate (I am deliberately avoiding the term ‘hide’) them into their diet. Dates are a good idea to sweeten any recipe for babies. I assume that’s why this recipe asks for a blender to mix all the ingredients. But you can easily omit the dates altogether and just mix everything by hand. 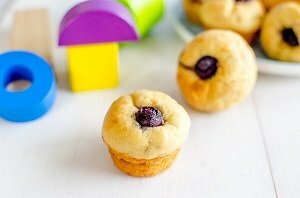 They are in mini size, so even better for babies just starting out, but you can make them in a regular muffin tin if you don’t have a mini one. The reason this recipe is aimed at 12 months+ is due to the fact that it has cheddar cheese in it, which has salt levels quite inappropriate for under 1 year olds if given in large quantities. Also, I would advise you to not add any salt to the mixture, only pepper to give them some flavour. I do have a handy spices guide post here, if you want to read more on the topic. 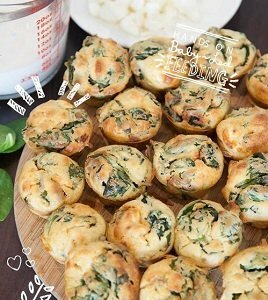 These muffins are great cause they have spinach, which is a good source of iron. 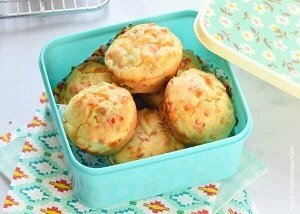 This is another recipe that goes well in a mini muffin tray. Banana and avocado is a great combo, as I have mentioned in my easiest baby dessert recipe. You can make applesauce at home by grating an apple on a small sized grater. In this way, you avoid the supermarket one which I assume has more than simply apple in it. 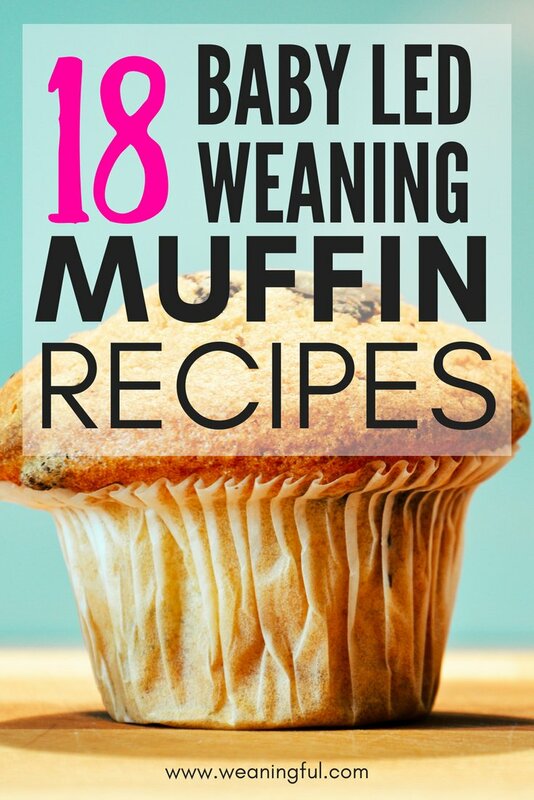 This is another mini muffin recipe (they really are made for tiny baby hands, aren’t they?) but can be easily adapted for a 12-muffin type of tin. It can also be made dairy free if you substitute the butter with oil. And the blueberries on top are guaranteed to get your little one’s attention. They can be easily stored and frozen. Now this is a combo you don’t see very often, at least I don’t. I would advise this recipe for 12 months+ too, mainly because of the goat’s cheese, which might be too salty. You can try to replace it with cheddar cheese if you don’t have it in the fridge. I like the fact that it has added thyme, which makes good use of the flavour. It is a mini muffin recipe, but it yields approximately 6 regular muffins. 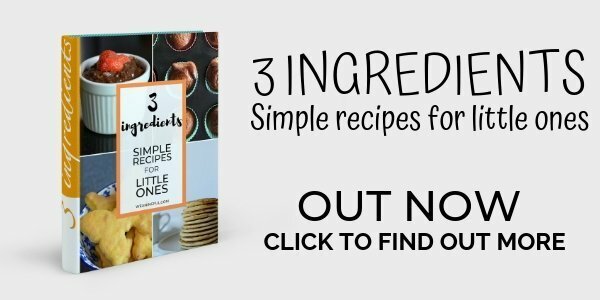 If you don’t like recipe 1, you can give this one a try too. It has 400g of carrots, so plenty of veg in there. Since there’s no sugar, the flavour of the carrots will really come through pretty nicely. Just make sure if you’re making standard size muffins to adjust cooking time accordingly. Now, if the above carrot flavour is too much for your little one, you can try substituting some of it with apple and banana. Very ingenious name, don’t you think? Helps you to remember some of the ingredients. The rest is just the base recipe, which can be easily adapted. Apple and cinnamon make a great combo not only in the autumn. 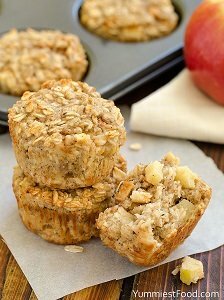 I somehow prefer oats to flour in muffin recipes because of their texture. It also feels like you’re eating something more consistent, if that makes sense?! And the apple pieces aren’t lost in the batter either, I find them more enjoyable this way. I would recommend this recipe for 12 months+, again due to the cheddar cheese. It is made with 5 eggs in total, so quite rich in protein. As for seasoning, you can try pepper, basil or oregano. 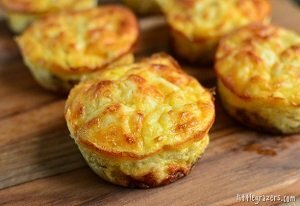 I find these work well with any egg muffins or omlette. 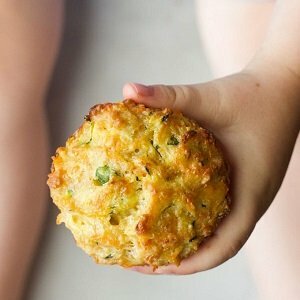 If your little one isn’t a great fan of broccoli, you can try this recipe and see how it goes with him. As for the cheese ingredient, make sure to choose a low salt one. This recipe covers all 4 food groups in one go, so it can easily be served as a main dish at any time of the day. It might be that this recipe will get you thinking about Valentine’s Day, but it can be made in any muffin tray, really. Instead of strawberries you can use other fruit as well, like: blueberries, blackberries or raspberries, for example. Or add some enhancements, like shredded coconut or raisins. 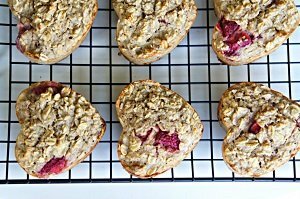 Sky is the limit with oat based muffins. I don’t think I’ve seen a recipe so packed with veggies! It has peas, courgette, carrots and corn, all in the same batter! I really like the advice about squeezing the juice out of them to prevent sogginess in the final result. The one thing I do not agree with is keeping the juice to use in smoothies (I do have a post on smoothies and why are they bad for babies). 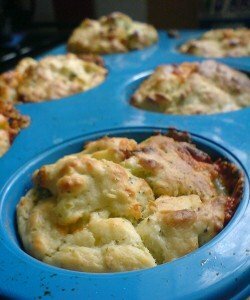 I know the title of the recipe says quiches, but they are baked in a muffin tin, so it makes sense to include them in this post. I really like the tuna and sweetcorn combo in a sandwich, so I’m glad someone thought of incorporating this into a quiche/muffin. This is another recipe that brings together all four food groups, so there’s plenty of nutritious ingredients in it. Choose the lowest salt cottage cheese you can find in the store. 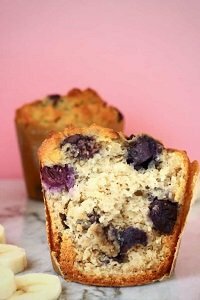 Did someone say blueberries, banana bread and muffins in the same sentence? I don’t know about you, but I would love some of these right now! The vegan part is not so attractive for me, but if it’s something that you are looking for in a recipe, then go ahead! Omit the pinch of salt, it is only for enhancing the flavour. 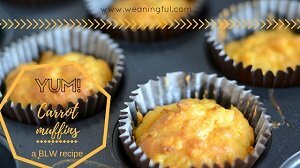 Another baby muffin recipe, this time using a combination I admit I haven’t tried yet: sweet potato and banana. They are gluten free and have enough sweetness in them to satisfy even the parents! Just the amount of Pinterest shares on this recipe makes me think it’s a great one to try! I would serve these as dessert after a main meal or as a snack. You can even pack them for when you’re on the go! 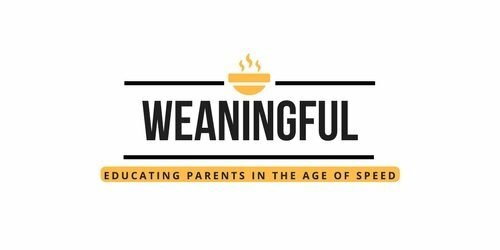 Let’s wrap this baby led weaning muffins round-up with a recipe that can be easily included in the “What food to take for baby when going on a picnic” category. 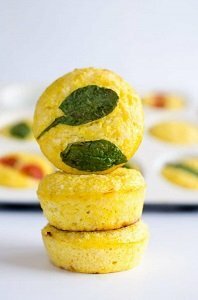 These muffins are packed with veggies, protein from the egg and dairy and keep tummies satisfied for long. If you get the little one involved in the cooking process, he’ll like the rainbow colours for sure! 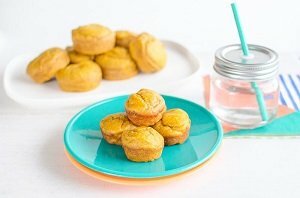 I have literally made this just last night and thought I should share a basic recipe for muffin dough, that can be easily adapted to incorporate both sweet ingredients like fruit, or savoury, like cheese. This yields about 5 regular sized muffins. I have sliced and cubed half an apple to go into this batter and they have risen quite nicely. Sorry I do not have a photo, you’ll have to take my word on it! Bake for 30 minutes at 180 C fan oven/200 C normal electric oven/Gas mark 6/350 Fahrenheit. Like I said, you can put both sweet and savoury ingredients to enrich the batter. I am usually on the cautious side when it comes to over filling, mainly because I expect the dough not to rise or to have a chewy consistency in the end. If in doubt, serve the fruit for example on the side. 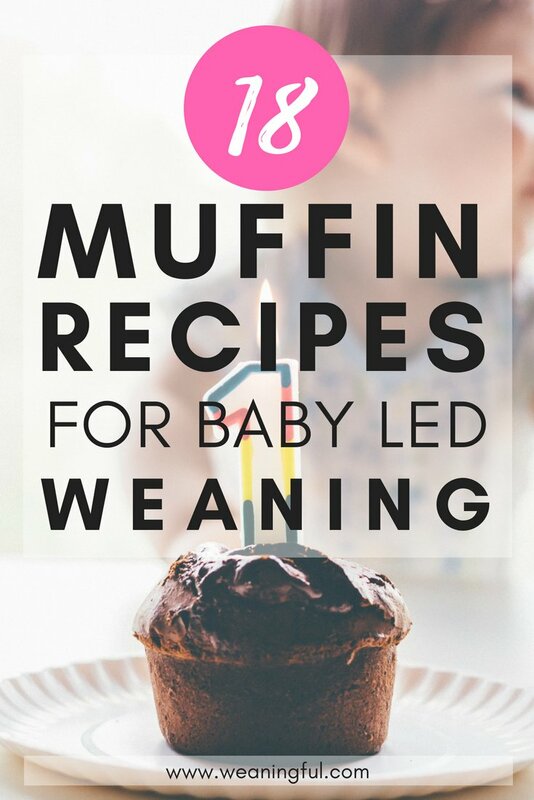 So that’s a wrap to this baby led weaning muffins recipe list! 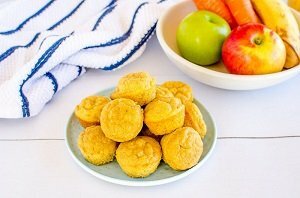 No fancy ingredients needed and (I hope) easy for your little ones to manage.